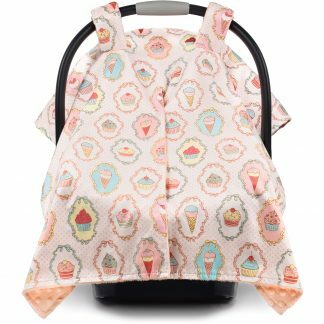 HIGH QUALITY, BREATHABLE FABRIC: This baby car seat canopy uses ultra soft, double-layer minky fabric on both sides for a chic, trendy and premium look. Breathable and soft for your baby’s delicate skin too! 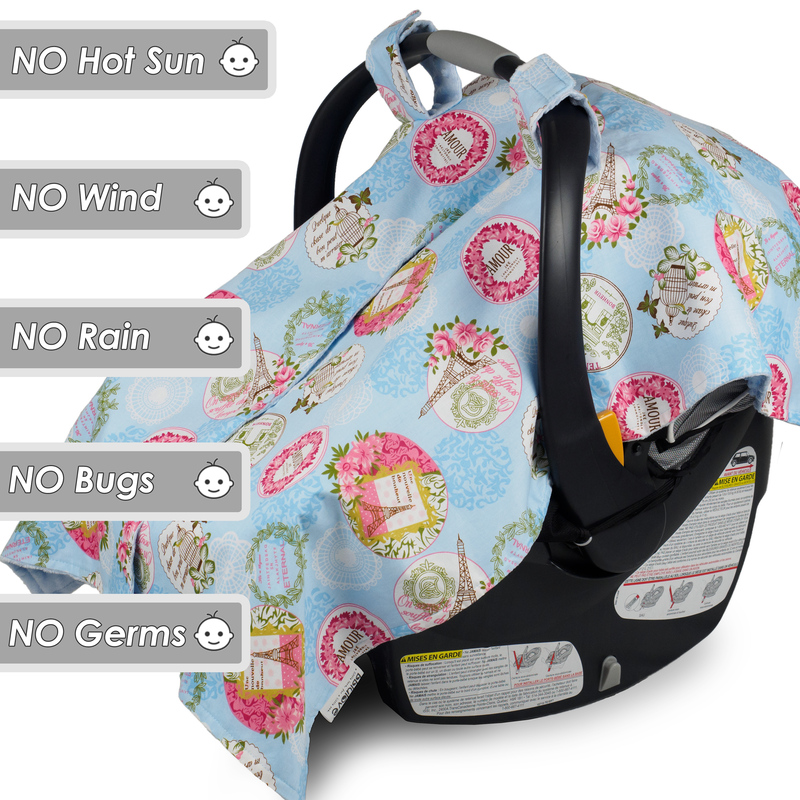 100% PROTECTION FOR YOUR BABY: Protects from sun, wind, rain, bugs, germs and more – keeps your little one inside safe and cozy! 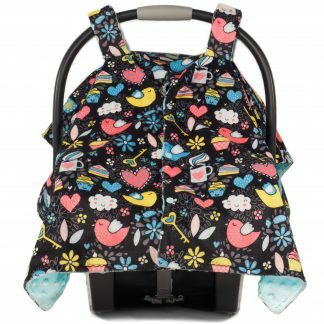 SUPER FLEXIBLE DESIGN: Adjustable opening with 3 snap buttons for easy access to baby and close them up to block the wind during colder months. Velcro straps design fits all baby car seats. MULTI-USE: Transforms into a nursing cover for breastfeeding in seconds – just wear it like a bib! 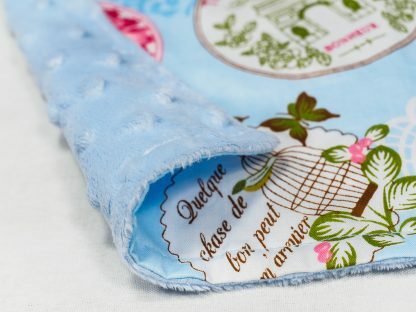 Use it as an extra baby blanket or burb cloth too! LIFETIME MONEY BACK GUARANTEE: We trust our product so much that we offer a no question asked, 100% satisfaction guarantee for life! If you aren’t satisfied with our baby car seat cover, simply let us know for a full refund! Tired of covers that fly off the car seat with the slightest wind? 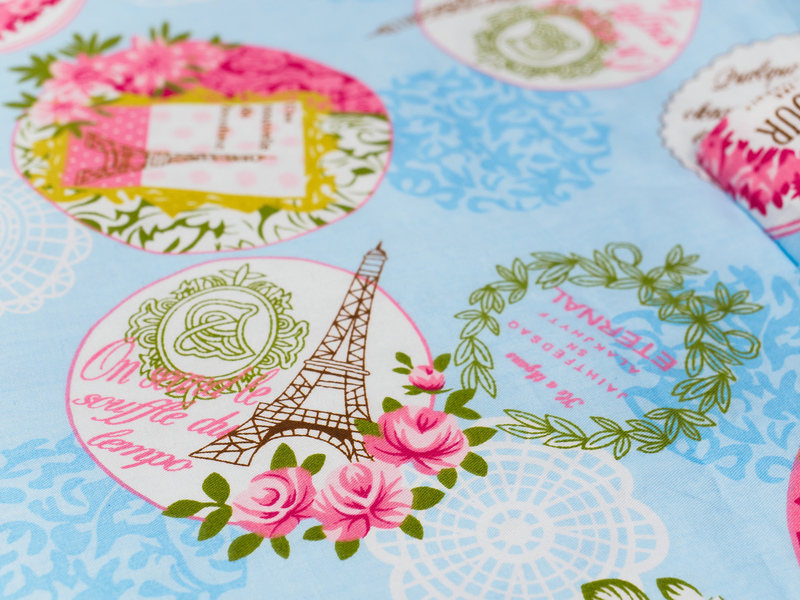 Want a premium look that sets you apart from the other covers out there? Introducing bblulove’s premium all-season baby carseat cover canopy! 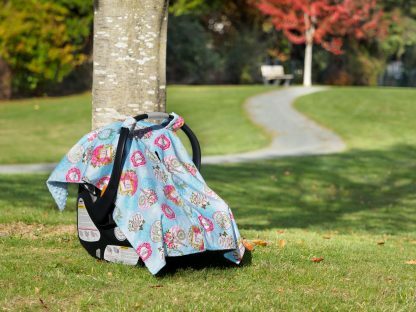 Founded in 2017 by a full-time mom, bblulove strives to make great looking and highly functional baby products for the little ones that we all care. All of our car seat canopy prints are unique and designed in-house so you won’t find them anywhere else! ✔ NURSING COVER: Transform into a full coverage nursing cover in seconds! 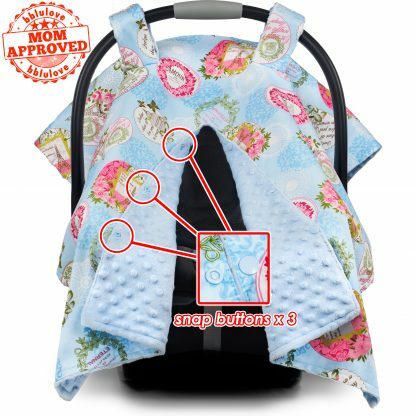 Just snap around mommy’s neck with the snap buttons. 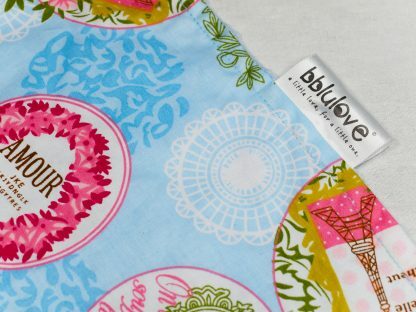 ✔ MULTI-USE: Ultra soft fabric doubles as a burb cloth or baby blanket! ✔ 100% MONEY BACK GUARANTEE: Backed by bblulove’s 100% no question asked money back guarantee, we are confident that you’ll love it! 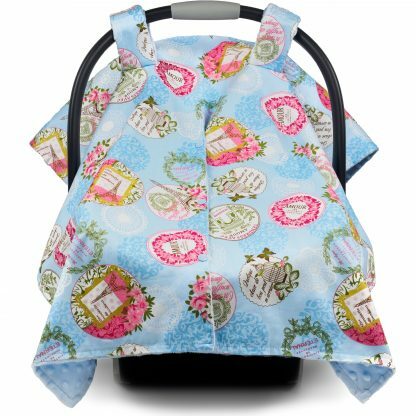 GET ONE NOW for yourself or as a great baby shower gift! 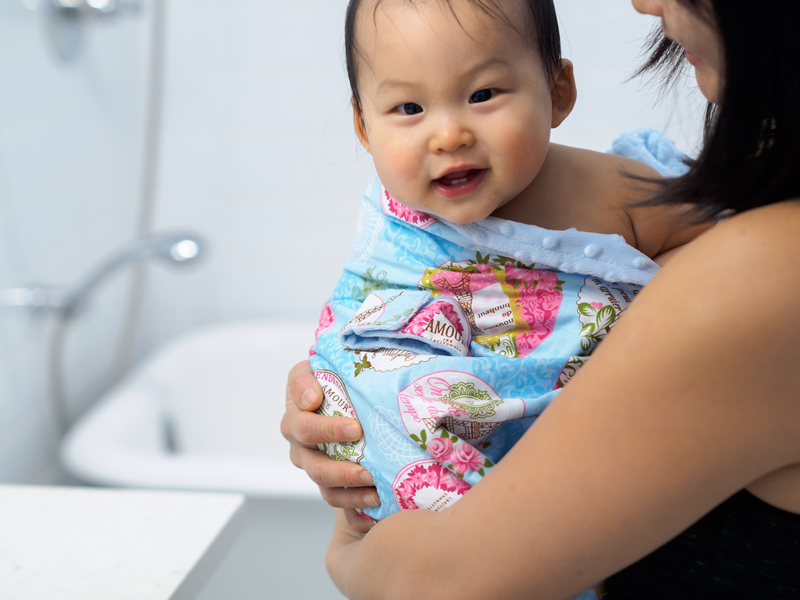 Machine Washable, Use Cold Water, Air Dry or Tumble Dry with Low Heat. 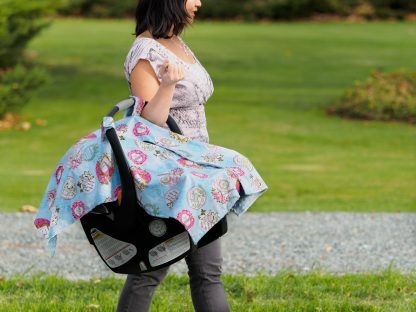 Never leave baby unattended while the car seat is covered. 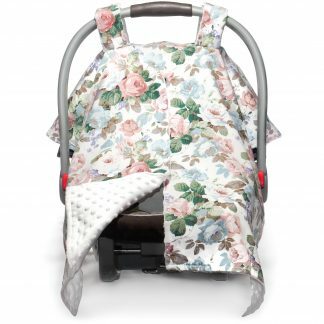 Cover car seat while transporting baby only. 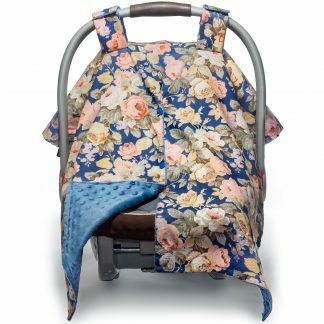 Open flaps when leaving the car seat covered for longer period of time. My wife loves it. Will buy another one soon. This was a baby shower gift and it did not disappoint. The fabric is GORGEOUS. Everyone loved it.